I don't know why but I don't think I've ever mentioned on my blog that I am bisexual. Ive struggled a lot in the past with that word. I've always been semi-openly LGBT but I guess I still deal with a lot of the Bi-Phobia that is ingrained in both the straight and gay communities. I've called myself "open", "fluid", a "lesbian who happens to also like men"; I wince at the looks I get when a girls eyes glaze over because she thinks "oh you're one of them" or when a guy thinks he's managed to turn me because I'm showing an interest in him. The truth is that I've always been bi-sexual. I've always fancied both. You really are born that way. 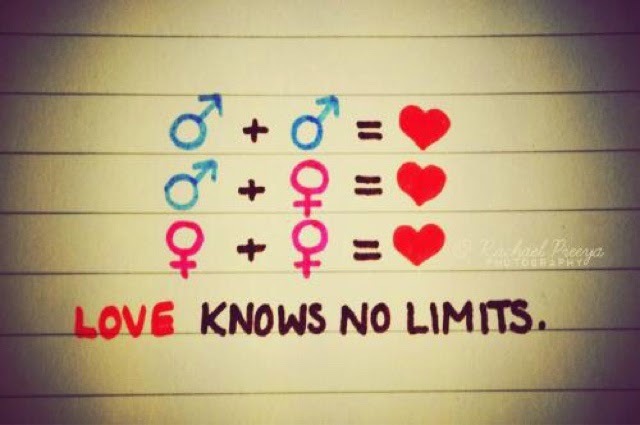 I first realised it when I was 11 and had the urge to kiss the girl sitting beside me in a Religious Studies class. I have vague memories of saying I was "Curious" at 15 to my friends and then never mentioning it again. And then I went through an odd period where I was "out" but just didn't tell anyone what I was. My friends were Gay, I socialised in Gay bars, I attended all the necessary events to be seen as such but if anyone asked me the question of what I was I just shrugged. I wasn't a lesbian but I hated that word. I've overcome that feeling thankfully. 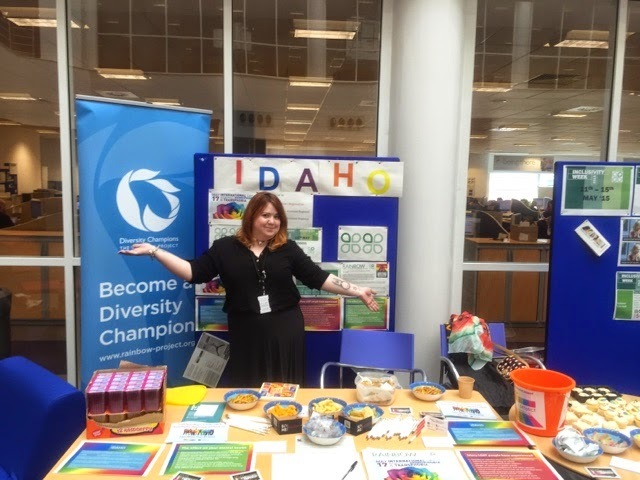 I came in out in work by taking on the role of leading our LGBT network and now I'm having amazing experiences through fundraising, networking and awareness campaigns, my small attempt at activism. I used that excuse to officially tell my family too although nobody was surprised there. I struggle daily with meeting new people and trying to work out do I awkwardly force this in to conversation or do I just leave it. Because you never stop coming out. And today I'm coming out here. In my silly little corner of the Internet where I choose to talk about make up & clothes. Where I share what I've been doing, what I've been buying, who I've been hanging out with, and sometimes allude to how I'm feeling. I still haven't fully crossed that line yet but now I'm telling you who I am. Why am I telling you this? Because I live in Northern Ireland. And about an hour away, in several directions, from where I live there is an amazing thing happening. 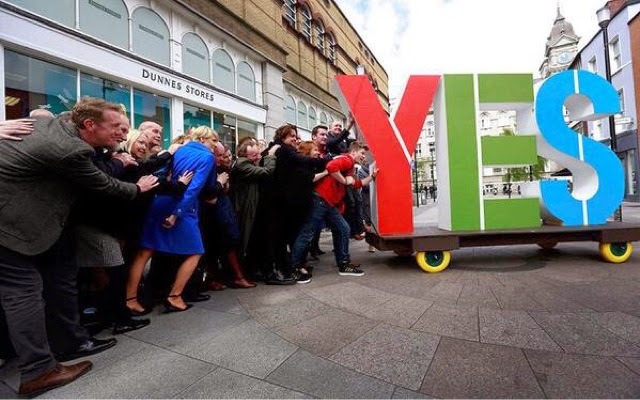 The people of Ireland are going out in droves to vote Yes to Equal Marriage. 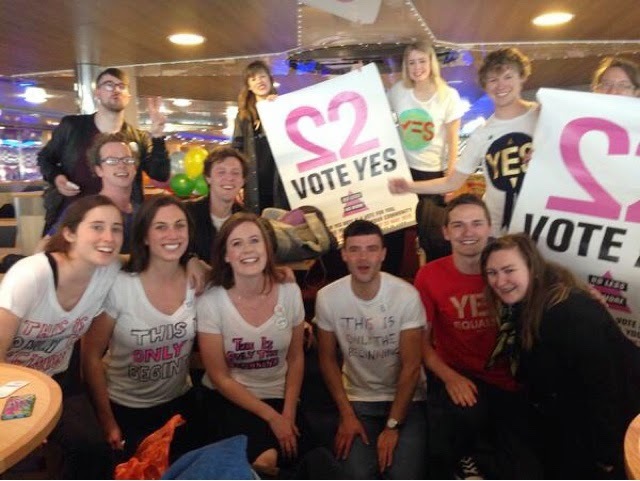 If you check out #HomeToVote tag you will see they are literally de-emigrating to come home and have their say that no one should be excluded from marriage. No one should be a second class citizen. And from a Bi-Sexual point of view, no one should have to write off the idea of ever getting married just incase they fall in love with someone who has an Inny rather than an Outty. 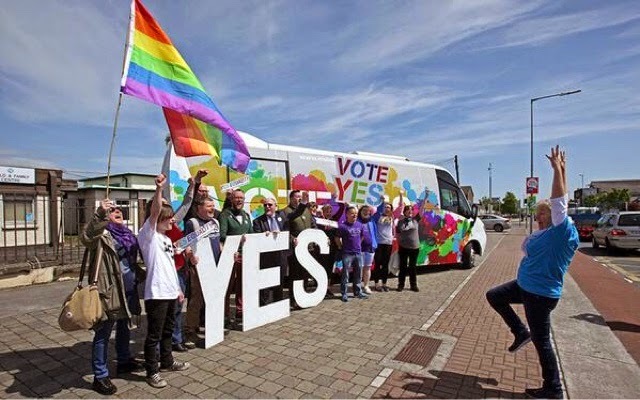 Whether you agree with public referendums or not, you can't help but admit that this is a huge step towards true equality. 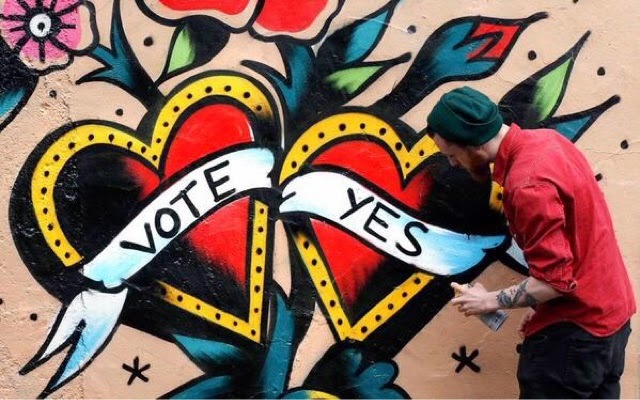 And I really do hope that it passes, even if that leaves me stuck in the only country in the British Isles that doesn't recognise the right to marry. YET. To all my Irish friends and to everyone voting today I want to say you are amazing. Thankyou! It's true you never stop coming out but thankfully these days there's less and less fear about doing it. I really hope our politicians are watching closely and are maybe moved to change their minds at what is happening so close to us!